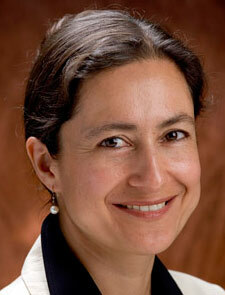 Anja Chávez will become director of university museums on May 1. Douglas A. Hicks, provost and dean of the faculty, announced the selection of Anja Chávez as director of university museums for Colgate University, effective May 1. She will direct the Picker Art Gallery and Longyear Museum of Anthropology, as well as the university’s envisioned Center for Art and Culture. Chávez will join Colgate from Syracuse University’s Warehouse Gallery and SUArt Galleries, where she has served as the curator of contemporary art since 2008. From 2003 to 2008, she was curator of contemporary art and curator of exhibitions at the Davis Museum and Cultural Center at Wellesley College. Earlier in her career, Chávez held curatorial positions at the Museum of Fine Arts Boston, the Fitchburg Art Museum in Fitchburg, Mass., and Städtische Galerie im Lenbachhaus in Munich, Germany. 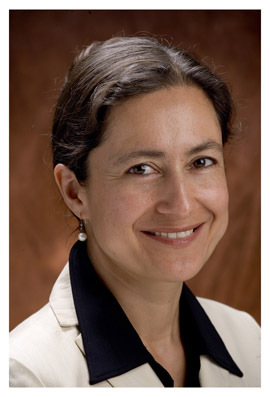 With an academic background as an art historian, Chávez holds MA and PhD degrees from the University of Bonn, Germany, and she attended the École Normale Supérieure and the Université de Paris Sorbonne (Paris IV). She has taught and lectured at several American universities and museums and held residencies in Beijing and Taiwan. Chávez brings a decade of museum experience in liberal arts colleges and universities. During that time, she has consistently involved students and faculty from multiple disciplines in the work of Western and non-Western artists. She has produced high profile, innovative scholarly exhibitions and created partnerships across institutions and communities, at regional, national, and international levels. Read Chávez’s curriculum vitae here.